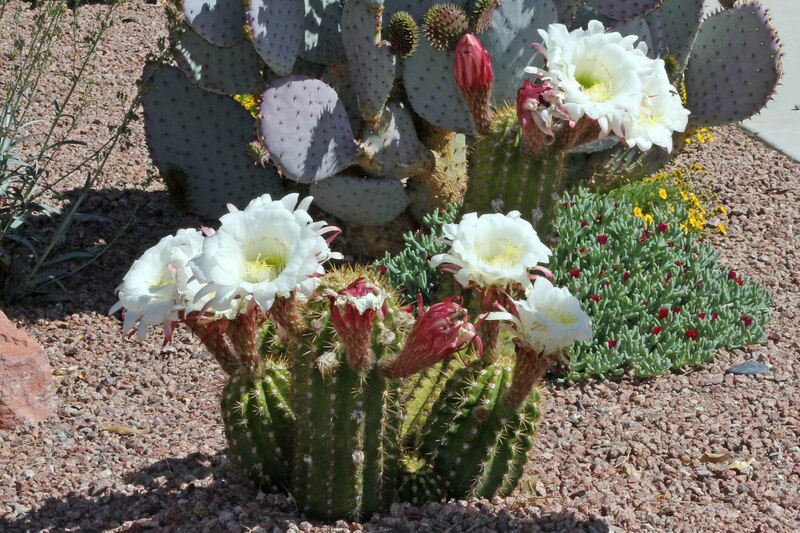 A few years ago I posted about a handful of desert plants in our yard, including the Argentine Giant - Echinopsis candicans. Well, this year has been an amazing year for several of our cactus, and I thought it was worth a revisit. One unique aspect of these flowers is that the sepals are actually decorative, creating the pinkish-red border of the flower. 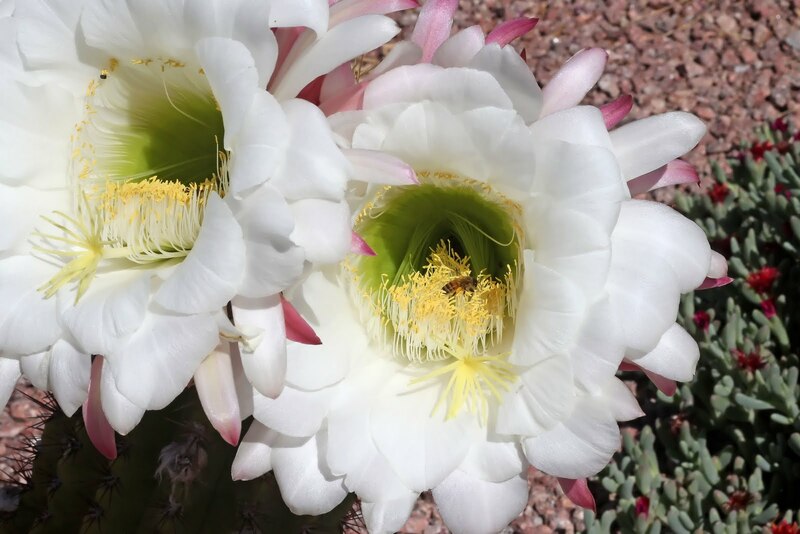 Unfortunately, these flowers only last about 1 day, opening at night. If the weather is hot, as it was the day I shot the above photo, they start to wilt by mid-morning. And the one-day duration really worked against me. With a new baby at the house I was not able to get out in time to take a photo while the morning light was nice, leaving me with the harshly lit snapshot above. The above cactus has been planted for over three years and has grown maybe 3 inches. I understand that they will grow faster in the right conditions. This year's bloom of 6-8 simultaneous flowers was much more vigorous than any previous year, where two or three simultaneous flowers was the max. If we're lucky we'll get another handful of blooms sporadically through mid-May.